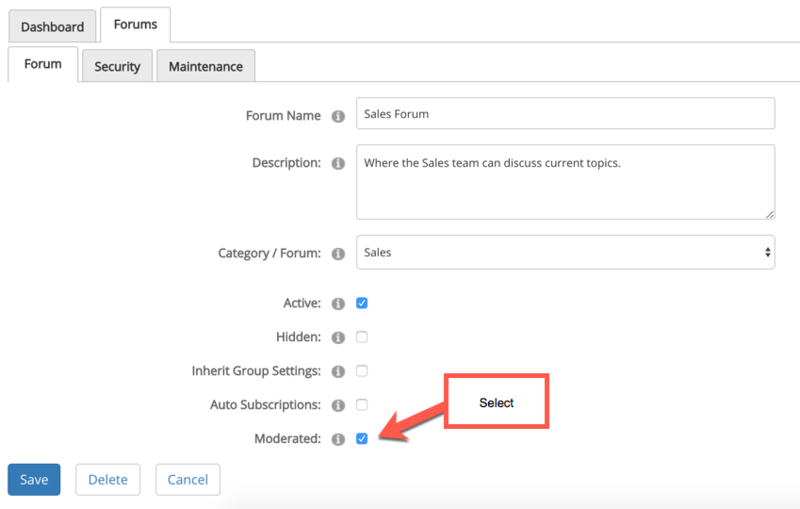 Forums can be moderated using the moderation setting under both the forum and category settings. If this option is enabled the user who submits the post will be presented with a message letting them know that their post will need to be approved before it will be displayed. Moderators or approvers will receive an email letting them know that a post needs to be moderated, they have the option to approve or reject. 1. 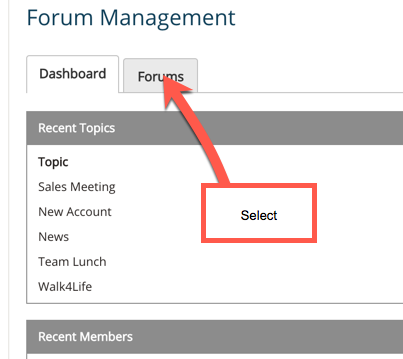 Open the forum and click on Forum Manager. 3. 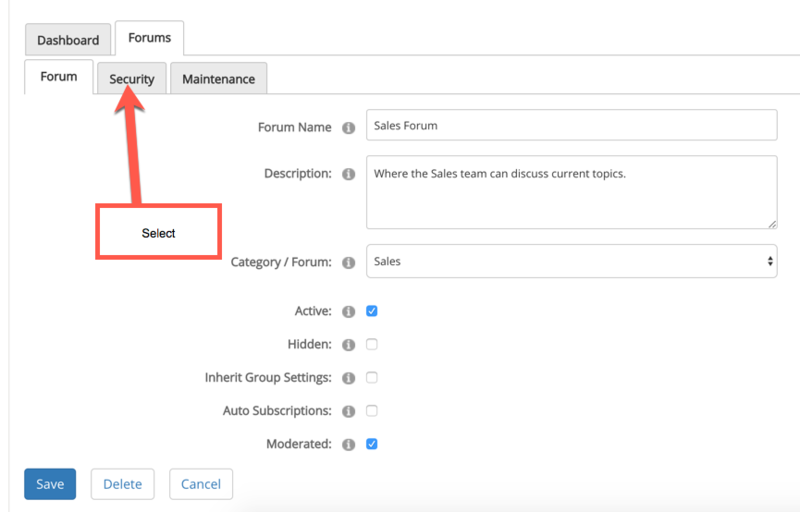 If you want to moderate an entire category select category or one of the forums if you only want to moderate a single forum. 4. Select the moderation option and then click save. 5. Select Security to set up the moderation email alerts. 6. Select and add a Role that you'd like to be notified when a post has been submitted and then select the ModApprove And ModDelete options, then click save. Note - the roles will need to be set up in Add & Manager Users area, if a single moderator is required, create a role just for this user. The forum will now be moderated, the moderator(s) will receive an email with a link in it, they will click on the link to review the post and approve or decline.